Dark Horse Comics and 20th Century Fox Consumer Products celebrate an amazing thirty years of Predator with a new comic series, Predator: Hunters, and a hardcover collection, Predator: The Original Comics Series—Concrete Jungle and Other Stories! 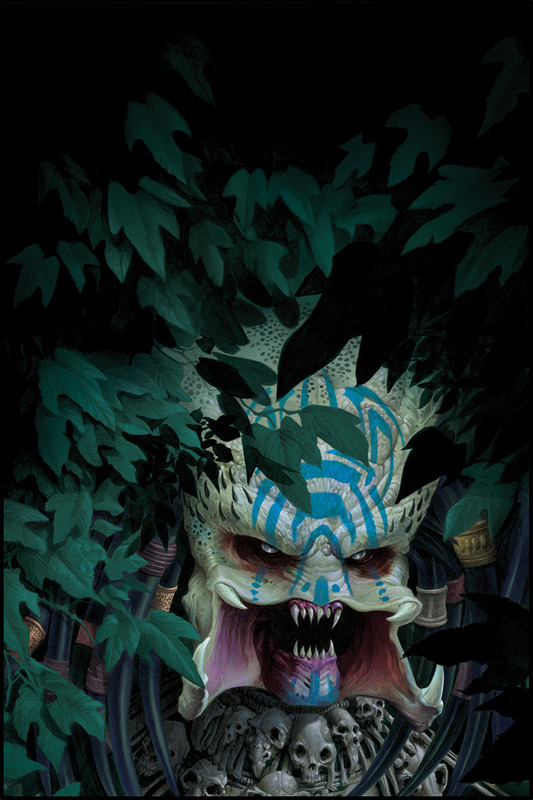 Dark Horse’s own senior editor Chris Warner (Barb Wire) returns to the famed franchise with Predator: Hunters, alongside artist Francisco Ruiz Velasco (Hellboy II, Pacific Rim), letterer Michael Heisler, and cover artist Doug Wheatley for the new five-issue series. And Mark Verheiden’s Predator stories from 1989 to 1996 are collected in a beautiful hardcover in Predator: The Original Comics Series—Concrete Jungle and Other Stories. Earth has been plagued by space aliens for centuries. In Predator: Hunters, characters from past Dark Horse series team up against the extraterrestrial visitors. The Predators are in for a surprise when the toughest, most dangerous humans start hunting them. Predator: The Original Comics Series—Concrete Jungle and Other Stories follows the success of 2016’s Aliens 30th Anniversary: The Original Comic Series. Concrete Jungle and Other Stories collects Predator: Concrete Jungle #1–#4, Predator: Cold War #1–#4, and Predator: Dark River #1–4. Concrete Jungle finds the alien trophy hunters traveling from the jungles of Central America to the concrete jungle of New York City, where they face off against an NYPD detective. In Cold War, the Predators crash-land in Siberia, and in Dark River, the hero of Concrete Jungle traces the path of his younger brother to find out what really happened to him after the events in the movie Predator. The first issue of Predator: Hunters goes on sale May 3, 2017. Predator: The Original Comics Series—Concrete Jungle and Other Stories goes on sale June 14, 2017. Preorder your copies on Amazon, Barnes & Noble, DarkHorse.com, Penguin Random House, and more!